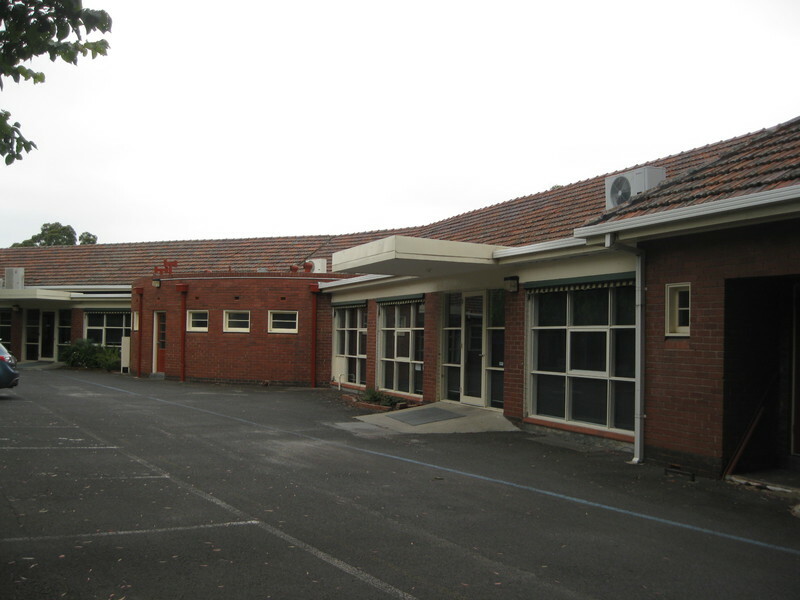 The former Travancore Special School Toddlers' Block, designed by Percy Everett and constructed in 1939-40, at 26-38 Flemington Street, Travancore is significant. 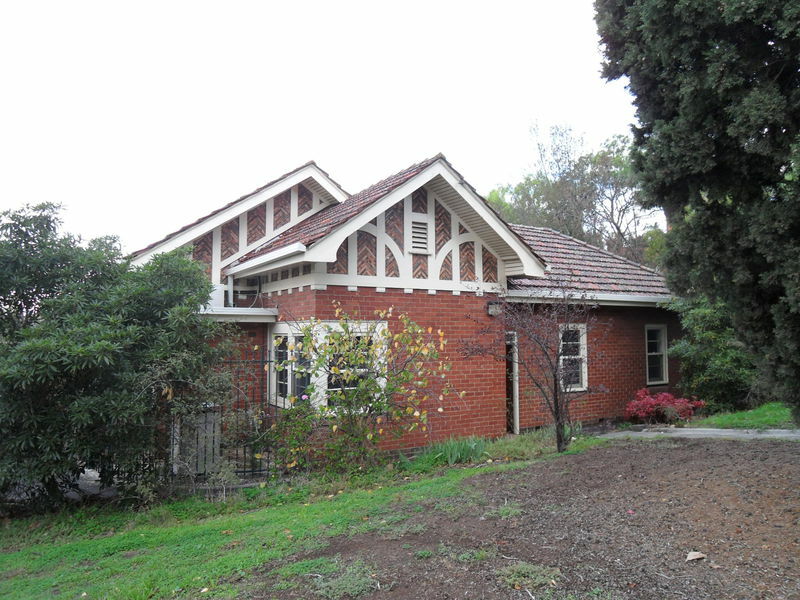 Constructed of brick with a gable roof, the building is an unusual mixture of Moderne and Old English styles. The Moderne style is demonstrated by the strong symmetry of the design, the treatment of the windows (variously curved, tall and narrow or corner with horizontal glazing bars), and the projecting flat-roofed sections at the outside end of each wing. 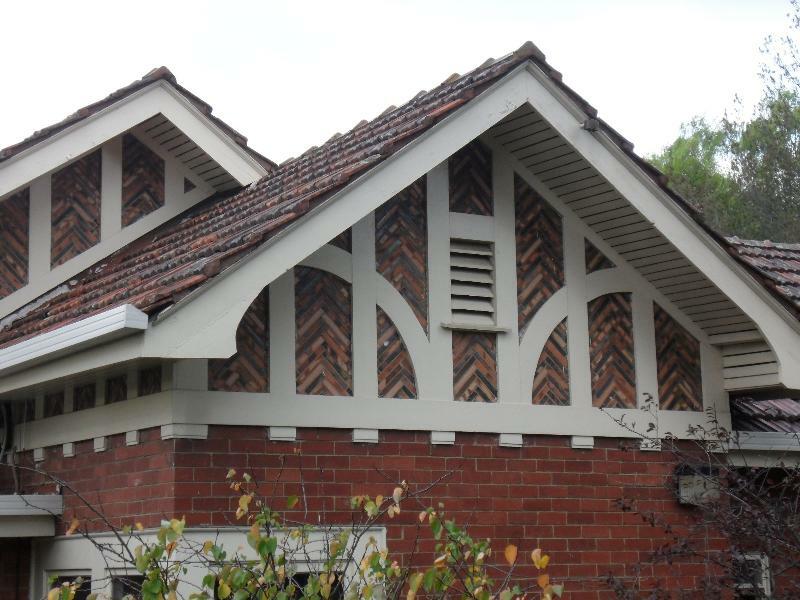 This is combined with the distinctive Old English detailing to the gable ends to create a hybrid of two very popular styles of the 1930s. In plan, the building comprises two long wings in a shallow 'v' on either side of a central entrance pavilion, which is marked on the east elevation by a gable placed between projecting minor hip roofs and above a flat-roofed porch hood. Large curved window bays on either side connect back to the projecting wings. There is a similar curved-wall form on the west side of the building. The walls are constructed of brick, with dark brown bricks forming a plinth and red bricks to the upper walls. The gables to the central pavilion and at the north and south ends of the arms of the 'v' are finished in highly decorative fachwerk, combining multi-coloured brick bats in a herringbone pattern with vertical and curved half timbering. The roof is clad in glazed tiles, in the mottled finish popular in the 1930s. Non-original alterations and additions to the building are not significant. 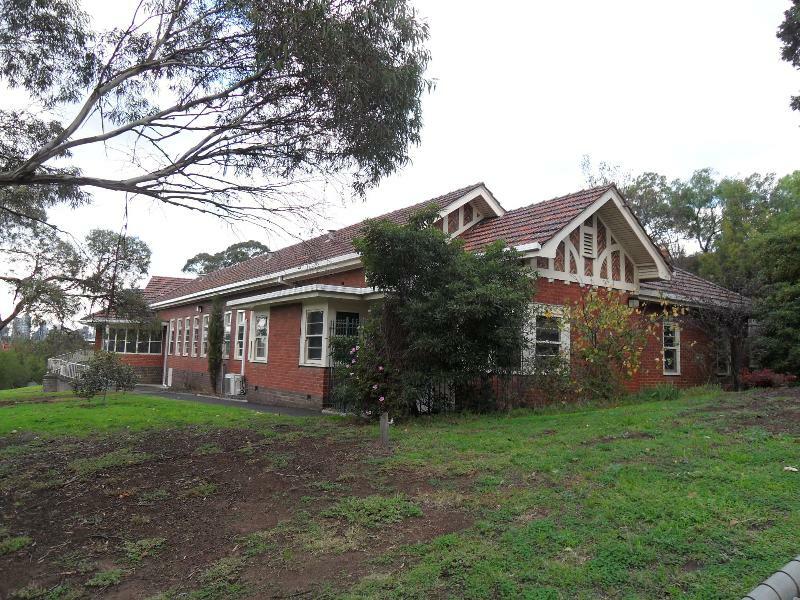 The former Travancore Special School Toddlers' Block is of local historic and aesthetic significance to the City of Moonee Valley. 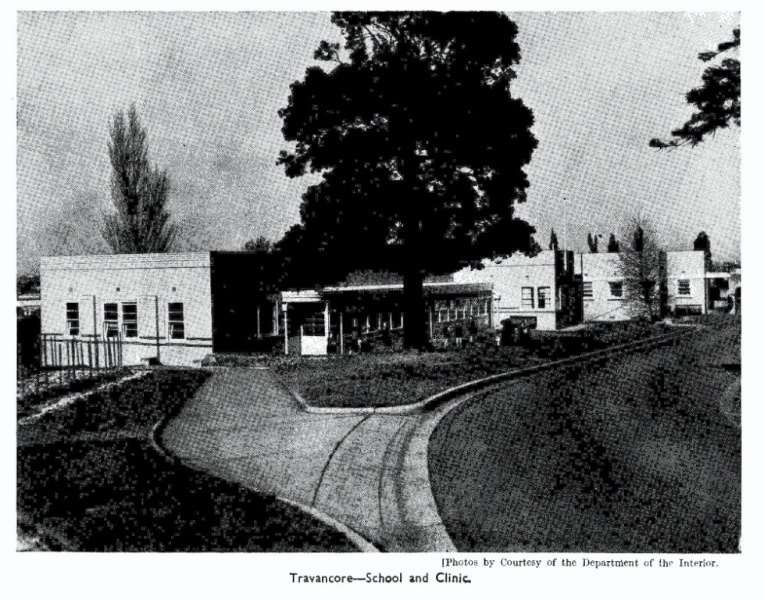 As noted in the History, most of the original buildings constructed for the Travancore Special School from 1930 to 1945 have been demolished. 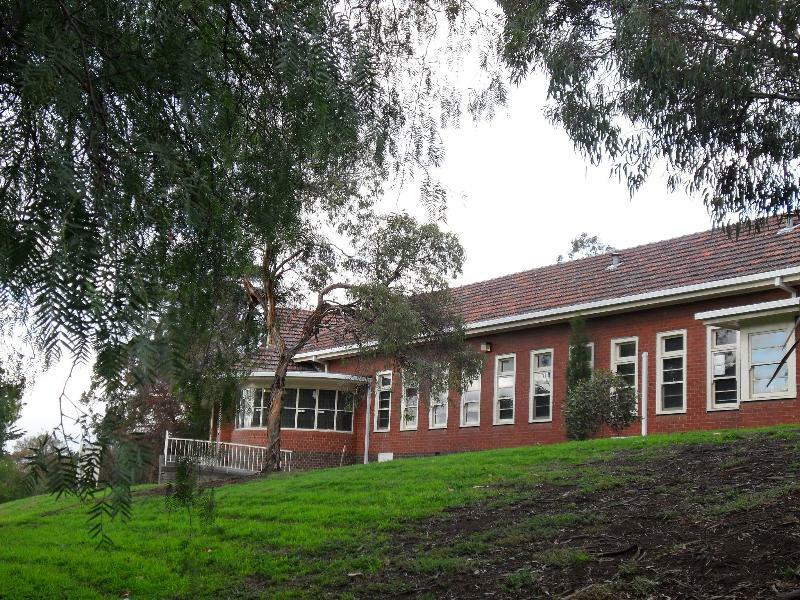 The only surviving building is the former Toddlers' Block, which which is situated immediately to the northeast of the Flemington Primary School near the crest of a hill overlooking Mooltan Street and the Moonee Ponds Creek Valley. It is visible at the south end of Cashmere Street. In plan, the building comprises two long wings in a shallow 'v' on either side of a central entrance pavilion, which is marked on the northeast elevation by a gable placed between projecting minor hip roofs and above a flat-roofed porch hood. Large curved window bays on either side connect back to the projecting wings. There is a curved brick wall with small square windows on the southwest (opposite) side of the building. The walls are constructed of brick, with dark brown bricks forming a plinth and red bricks to the upper walls. The gables to the central pavilion and at the north and south ends of the arms of the 'v' are finished in highly decorative fachwerk (half-timbering with brick infill) , combining multi-coloured brick bats in a herringbone pattern with vertical and curved half timbering. The roof is clad in glazed tiles, in the mottled finish popular in the 1930s. 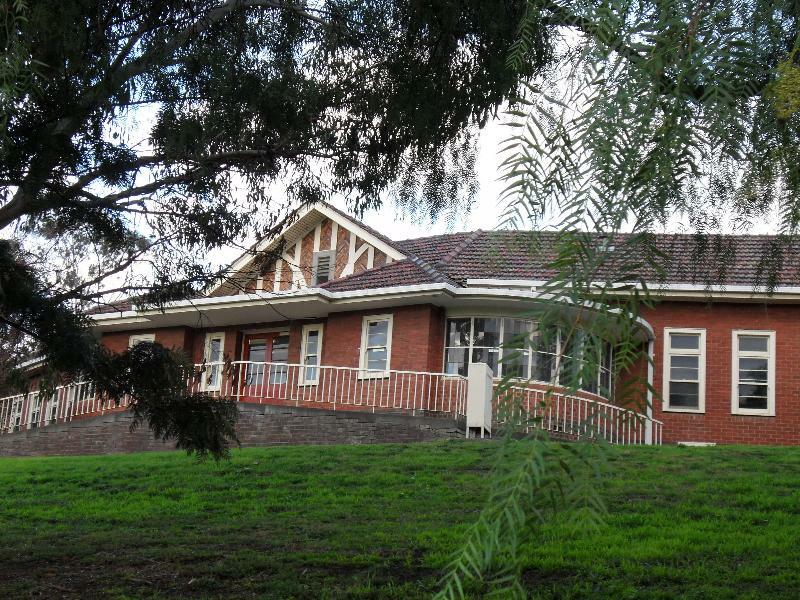 Constructed of brick with a gable roof, the building is an unusual mixture of Moderne and Old English styles. The Moderne style is demonstrated by the strong symmetry of the design, the treatment of the windows (variously curved, tall and narrow or corner with horizontal glazing bars), and the projecting flat-roofed sections at the outside end of each wing. This is combined with the distinctive Old English fachwerk to the gable ends to create a hybrid of two very popular styles of the 1930s.